November often has teachers searching for election day activities for elementary students. It’s important to take your students’ background knowledge and developmental levels into account when discussing civics and planning lessons. 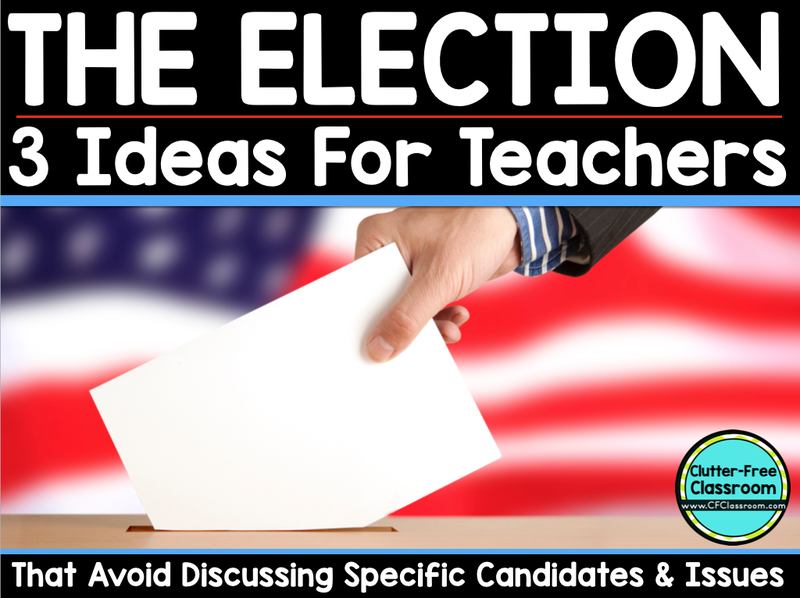 This post will share 3 ideas for ways you can bring the topic of the election into your classroom without focusing on specific candidates, current events, or political issues that may not be appropriate for their age. Takes the students through the writing process and have them dreaming big by asking themselves, "What if I ran for president?" Their final published work samples makes a nice bulletin board paired with a complementary craft project and and can be made into a class book to be enjoyed all year. You could also have them write persuasive paragraphs about who they think should be president. You don’t need to have them debate specific candidates. Instead let them pick anyone they feel would make a good president and have them support their opinion. Having the students vote on books about presidents and the electoral process. 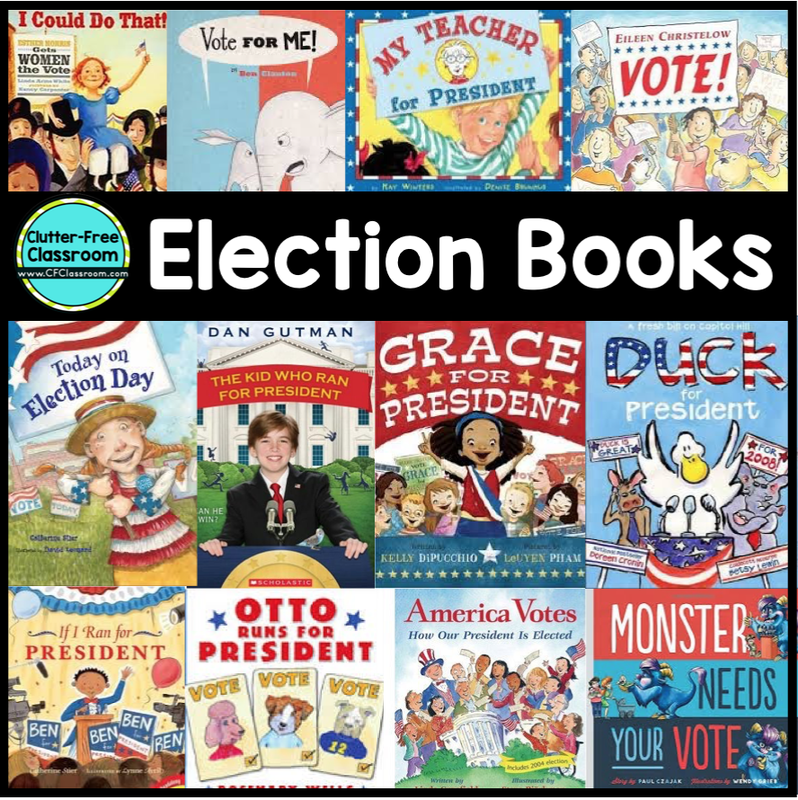 Below is a list of election books for kids. You can read them aloud to your class, invite mystery readers to come in and read each one or put them on display for the students to read on their own. 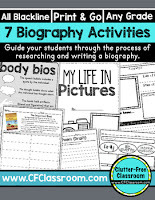 Use graphic organizers to reinforce literacy skills and strengthen student comprehension. 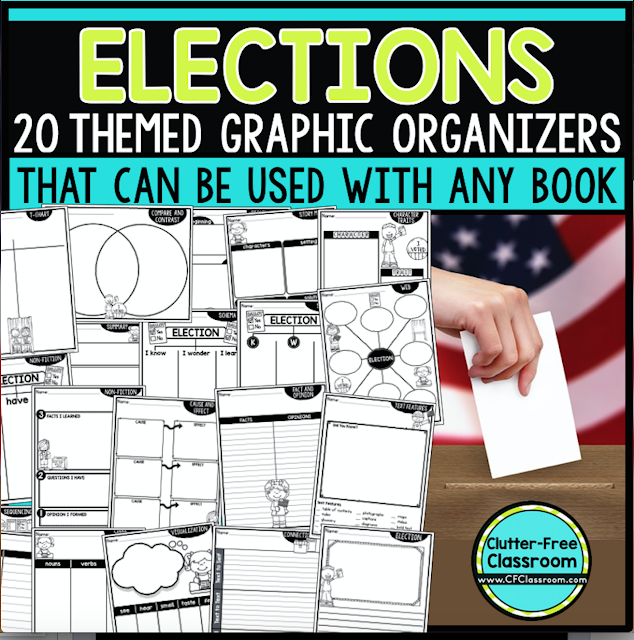 This resource provides lots of options, has a election theme and each printable can be used over and over again with ANY election-themed children’s book. Below are some of my favorite election-themed books to read to elementary students. Links to specific titles can be found at the bottom of this post. Clicking on any book cover will take you to book descriptions and reader reviews via an Amazon affiliate link. If you did want to have your students learn about the specific candidates without getting into their politics you should have them focus on factual, biographical information. During the last election we used online resources to research both candidates in conjunction with the Biography Activities to Use When Studying ANYONE Resource Packet. 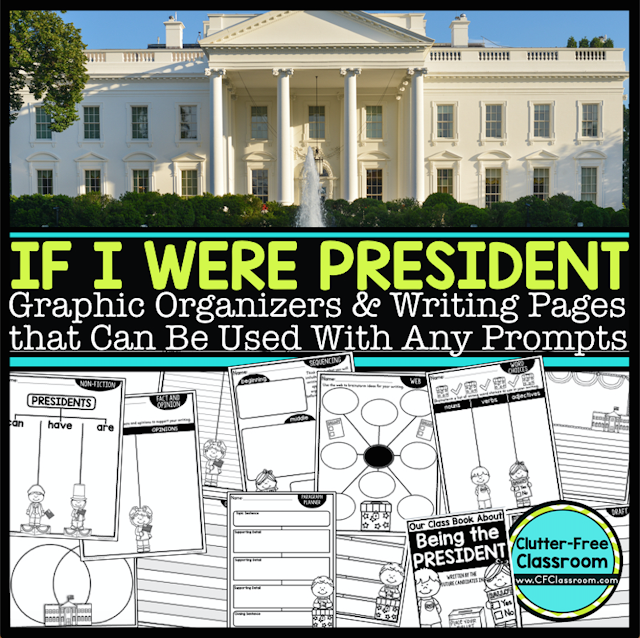 I displayed their finished projects on a bulletin board along with the If I Were the President writing. Another fun option is to have the students play the role of the person they are studying in and create a poster board costume.